Looking for ways to increase student engagement in your face-to-face or online classroom environments? Our hands-on Active Learning Institute helps faculty transform their undergraduate and graduate-level courses into environments for participatory learning. This year’s Institute takes place Tuesday, June 18 – Thursday, June 20, 2019 from 9:00 AM to 4:00 PM in Butler Library 212.
Who is the Active Learning Institute open to? 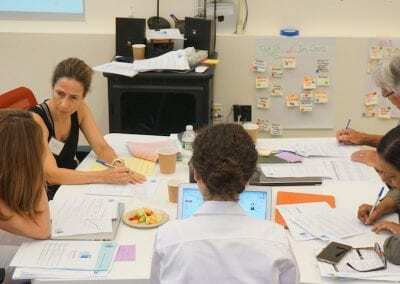 The Active Learning Institute is open to all Columbia faculty interested in increasing active learning in their courses. Faculty members may invite the designated graduate teaching assistant(s) for the course they will be developing to attend the Institute with them. 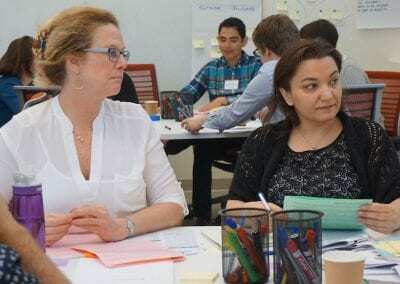 What happens at the Active Learning Institute? 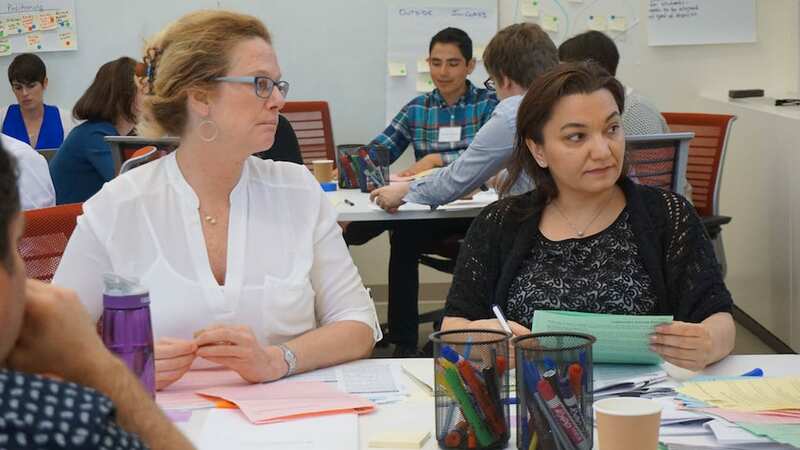 In this three-day institute, faculty will explore the purposes and benefits of active learning and learn how to apply these research-based practices by developing their own active and learner-centered course units. To model how pre-class work can help us make the best use of in-class time together, faculty will be asked to complete a pre-institute online module on articulating student learning objectives. 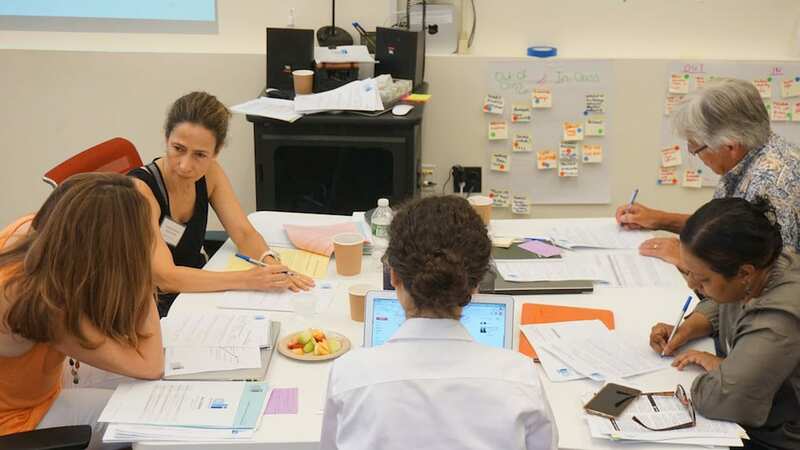 During the institute, faculty will participate in a combination of hands-on activities, an instructional technologies lab, discussions, and online exercises to work through the essential components of designing engaging student learning experiences. Topics addressed include facilitating individual and collaborative learning activities, planning and creating effective online materials, and fostering and maintaining an inclusive course climate. Faculty will also experiment with educational tools and software during the hands-on instructional technologies lab facilitated by the CTL’s Instructional Technologies group. Throughout the institute, faculty will focus on aligning assessments and activities to student learning objectives for a unit in their course. Identify and select appropriate assessments of student learning. Design engaging and inclusive student experiences incorporating active learning techniques. Align assessments and activities to student learning objectives. Plan for evaluating the impact of instructor’s course redesign. The Institute is facilitated by Andrew Flatgard, Ashley Kingon, Chandani Patel, and John Foo from the CTL. Should you have any questions about this program, contact john.foo@columbia.edu. The Active Learning Institute application opens on Monday, March 04, 2019. Faculty are invited to apply via the link below by Monday, May 13, 2019.